That statement has become a rallying care in the healthcare industry—and for good reason. In the era of patient consumerism, patients today demand more from their providers than great clinical care alone. In keeping with their other daily activities, they expect convenience and transparency — especially when it comes to the increasingly costly financial side of care. Practices have attempted to address this challenge in recent years by adopting best-in-breed technologies to handle discreet aspects of the financial experience. Such point solutions often are ideal for solving distinct, immediate issues — in other words, greasing squeaky wheels. The problem with this approach, however, is that poor interoperability among solutions limits transparency and prohibits a broader, longer-term focus. Not to mention the failure risk and hard-dollar cost associated with maintaining a multitude of interfaces. Practices need to consider a more strategic, end-to-end approach to revenue cycle technologies instead. Just as in other industries, technology platforms can offer practices a more modern, scalable and sustainable way to re-architect and transform the entire patient financial experience. It can empower collaboration, alignment and a common vision for how to re-tool processes to accomplish each team’s individual and collective objectives. Adding AI, machine learning and other advances into the mix will simply enhance a practice’s capabilities. Take predictive analytics as an example. Predictive analytics use software to execute tasks normally conducted by humans. Platforms that leverage this can help practices increase their predictive ability to drive outcomes. For instance, better predicting no-show patients to optimize the schedule, or pinpointing claims at risk for denial. Taken a step further, embedding such tools into digital self-service platforms can help engage patients on their own terms and at their own convenience. For practices, a well-implemented platform permits easier data aggregation as well. By automatically gathering and benchmarking internal metrics, it can free high-dollar staff resources to problem-solve those situations that require human cognition. How can technology transform them to create an optimal experience for the patient? Even as they cover a wide variety of needs, well-equipped technology platforms start to foster a standardization mentality by offering a common frame of reference, a common language and common workflows. This can be comforting for patients as they encounter RCM touch-points throughout their entire care journey — from the time they make an initial appointment until the last payment is completed. For patients, standardization means greater efficiency and transparency — two essential components in their satisfaction. When applied to patient financial education, this efficiency and transparency also yields bottom line benefits for practices. 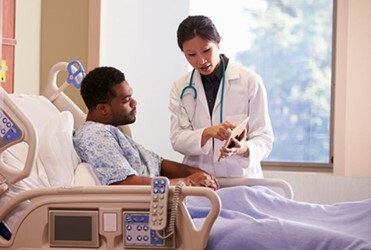 As it turns out, an internal analysis by R1 RCM reveals a 20 percent lift in patient propensity to pay their bills when they were educated about their financial responsibilities prior to care. When every step of the revenue cycle is executed by varied stakeholders— which is currently the norm in most practices — it’s difficult to guarantee a coordinated and consistently high-quality patient experience. By contrast, processes “hardwired” with a technology platform can deliver better, more uniform yet still personalized results through predictive analytics and the use of large data sets. When taking a practice’s time and resources into account, it makes no sense to have leaders spend their mindshare on RCM. They are better served investing in clinical and care delivery resources like new MRI machines, quality initiatives or physician training. Let RCM partners invest in state-of-the-art RCM platforms. The fastest road to patient satisfaction is to become a clinically-focused organization with a financial heavyweight in your corner. Still, it’s up to practice leadership to decide which RCM priorities to emphasize. With all compasses pointed to these “true north” goals, the practice and its RCM partners can stride forward in alignment. They can consider all of the operational drivers of the patient financial experience, and then find the most seamless way to accomplish them through technology.